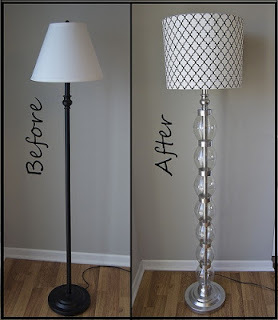 Some quick but useful diy projects to share today. This is a great idea for organizing pot lids. 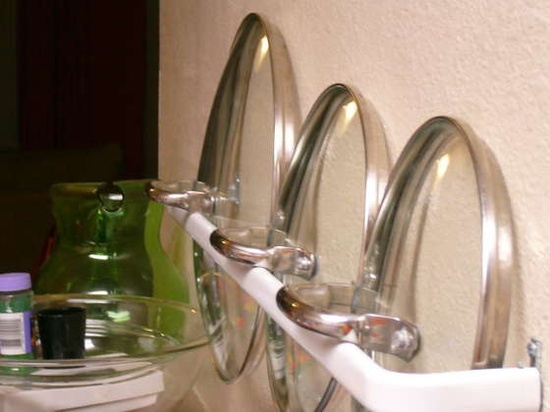 Attach a curtain rod to your cabinet doors from Instructables. 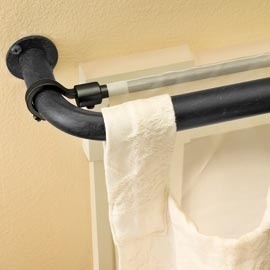 Add a panel behind your drapes instantly using a bungee cord. 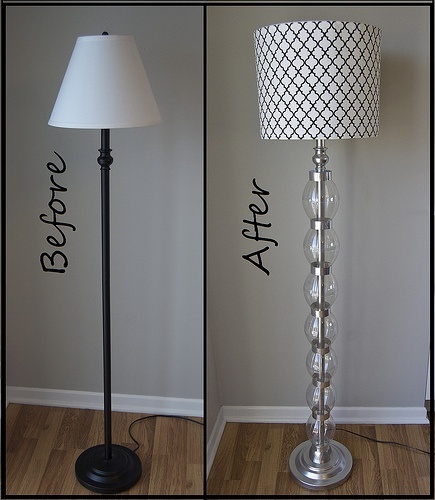 This lamp transformation is amazing from Matsutake.